Stadium Power, the UK-based provider of power supply solutions and EMC filters is offering industrial users a wide range of high reliability DIN rail power supplies all featuring up to four year warranty. 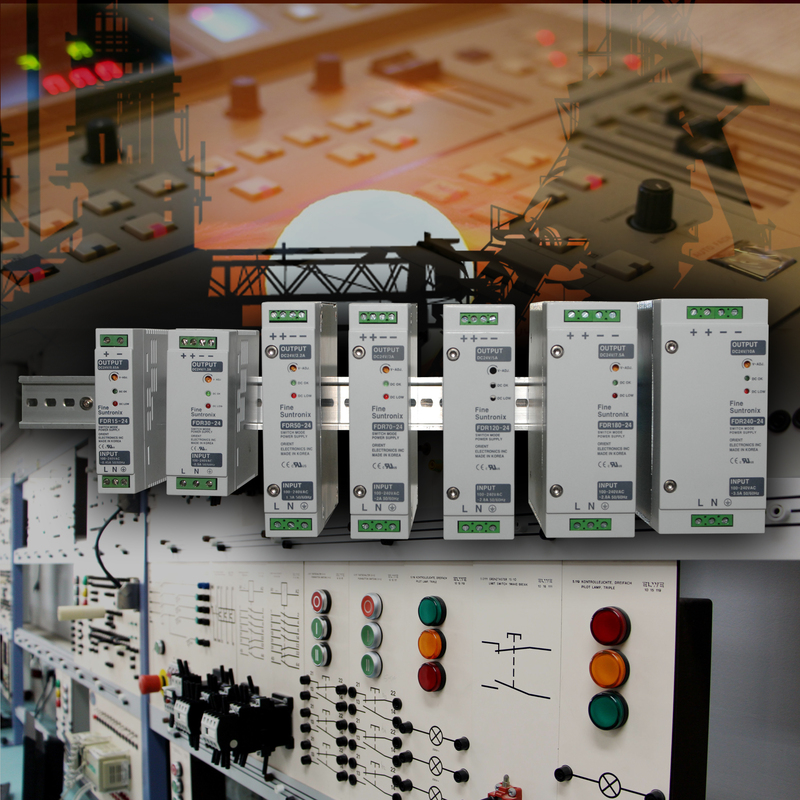 Suitable for a wide range of applications including; process control, building and factory automation, alarms, telemetry, signalling and control panel applications, Stadium DIN Rail power supplies are suitable for DIN rail TS-35/7.5 or 15 installations. All units feature universal AC input, output protection circuitry, status indicators, and operate at efficiencies of up to 92 per cent. These compact, fully enclosed DIN Rail power supplies are available as single, dual and triple outputs from 3V3 to 48Vdc over a power range of 15 to 240Watts, and meet the international safety agency requirements of UL, C-UL and CE. Stadium’s higher power models, FDR180 and FDR240, feature active power factor correction, as standard.